his simply means that youth are recruited in these respective countries, they spend 3 months of their one phase in a different/exchange country. As a South African based organization Volunteer Centre is responsible in recruiting 9 youth from South Africa taking into consideration gender equality and equity. Our partner organization from the above mentioned country is also required to recruit 9 youth from their countries. 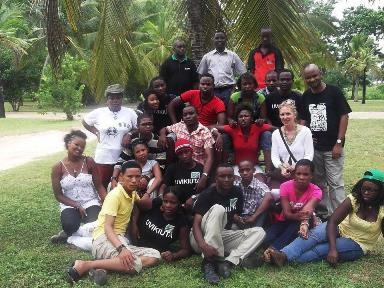 In total the program consists of 18 participants/volunteers and 2 project supervisors from South Africa and exchange country. Volunteers are then paired up (counter-partners) for the whole duration of the program, which will see them living with host families in the hosting community. Phase 1 takes place in South Africa or exchange country for 3 months, volunteering in organisations 3 times a week, conducting educational days and participating in community activity days. Phase 2 also takes for 3 months following the same process as phase 1 but due to the change of environment working schedule might be implemented differently. The Volunteer Centre exposes South African youth to an informal learning space to enhance their leadership skills, to equip them with life skills to be more employable on completion of the program, to create responsible citizens and youth leaders in action. The program gives youth the opportunity to travel outside the country meeting new people from different cultural backgrounds and introduces youth to global issues. In completing the program youth are able to discover themselves by discovering their purpose in life and are social agents whom are passionate about brining positive change in their lives. You might be reading this article with a big smile on your face excited and asking yourself what are the requirements? Well it is simple and all depends on you whether you get selected or not. Young people who are proved their commitment to volunteering through involvement in either - community projects, sports or schools activities, arts or drama programmes. Volunteer seeks young people who are full of life, responsible, reliable and committed in volunteering. Possession of SA police clearance that is not older 2 months or produce receipt that you have applied for one. In possession of a valid Passport – or produce a receipt that passport has been applied for. Willing to volunteer for at least 1 month at an NGO/ community project in their home community before and after the programme. 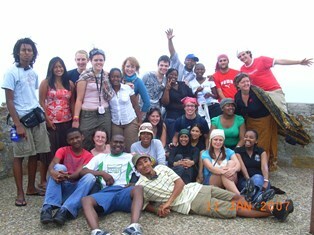 Able to organize the Administration Fee of R2100 per person – prior to programme commencement.